SKI IN SKI OUT condo. Mammoth Mountain View. Deux chambres et deux salles de bain complètes. Étapes à Canyon Lodge et le président Canyon Express. Étapes de la télécabine qui vous emmène au village. Ecole de ski et des leçons privées à Canyon Lodge. Peut voir les enfants zone de l'école de ski de restaurants et de vivre fenêtres de la salle. Endroit très calme et sereine. Condo est à 8400 pieds d'altitude, un endroit magnifique d'été dans l'arbre de à Mammoth Mountain. We had an epic weekend stay at Matthews place. He was very responsive and the condo had everything we needed. We look forward to booking it again next year! Nice spot, ideal for ski-in, ski-out from Canyon Lodge. Enjoyed staying with our family group of 10 people. Cozy, but adequate. Never did get August Lock functioning, but traditional Keys worked just fine. This condo is gorgeous. The living area windows all view the mountain at Canyon Lodge. There is no closer condo and no condo with a better view of the mountain. The owner Matt, what a wonderful gentleman to work with. He truly cares that his Guests have a great time. The apartment was just as shown in the photos. We arrived late at night but the access was easy as Matthew sent great instructions. I must admit though I’m never going to be a safe cracker!!!... :) The ‘August Access’ to the apartment was a bit unreliable as the batteries were flat so a good old key did the trick but Matthew came and fixed that over the weekend. Also the wifi didn’t work as someone had unplugged and moved the modem but that was corrected too and all was good again. Apart from those little hiccups (which really weren’t that big a deal) the place was perfect for a great weekend of skiing. We usually stay near Eagle lodge but decided to try something different and i think this will be our new go to. Beds were very comfortable, water was hot, apartment very warm and cozy and plenty of room to relax. The kitchen was well stocked and we cooked a couple of times. Matthew also gave a good recommendation for dinner which we accepted and was excellent (Nevados Restaurant). We also came home each day for lunch which was SO convenient and easy. There was plenty of firewood supplied for the wood heater. However no fire starters, newspapers or kindling was supplied, and this may or may not be the owners responsibility, but it would have been convenient for us “city folk” to get the fire started, at least for the first night. Overall, I would DEFINITELY stay at this apartment again and give it a five star rating. And I’m pretty hard to please!!! Traîneau à chiens aventure pendant les mois d'hiver. aventure motoneige pendant les mois d'hiver. Must collect the Mammoth Lakes 14% tax. A) 13% Mammoth Lakes Bed Tax, and B) 1% Mammoth Lakes TBID tax. 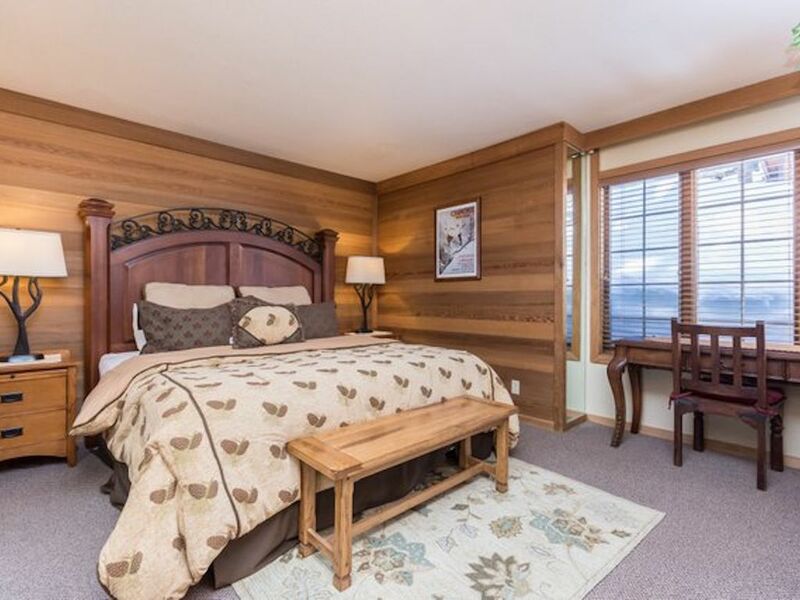 Summer and Fall Rates: $195 per night-Friday and Saturday, $150 per night midweek.